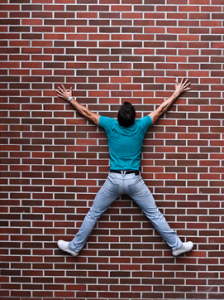 Benefit Revolution: PPACA Exchange Enrollments Have Hit a Wall, Why? Why aren't they enrolling? Industry analyst Robert Laszewski crunched numbers and finds that for many, ObamaCare remains a pretty lousy deal. On his blog he notes, for example, that a family earning 253% of the poverty level would get an average of $3,534 in subsidies this year. But they'd still owe $4,934 in premiums for a Silver plan with a $2,700 deductible. "How many families making $60,000 have an extra $4,934 in their budget for a policy that will likely pay them almost nothing?" If that family decides to pay the penalty, it would cost them a much lower $975, according to the Tax Policy Center. Laszewski says that more outreach to these families "will do no good as long as the Obamacare value proposition for these people is unacceptable to them."